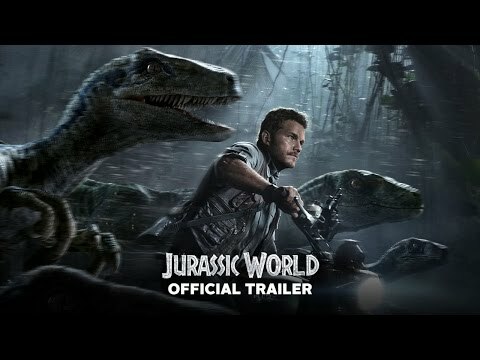 Science-fiction, adventurous, thriller – the fourth installment of World-famous Jurassic Park film series, Jurassic World, has all these attributes. Colin Trevorrow directed Jurassic World is produced by Frank Marshall and Patrick Crowley. Chris Pratt and Bryce Dallas Howard are main leads. Jurassic World release date is June 12, 2015. Twenty-Two years are passed since Jurassic Park event. Now, here is a new fully-functioning dinosaur theme park, Jurassic World. The park’s geneticists has created a new hybrid dinosaur, Indominus Rex, a genetically modified hybrid mutant dinosaur, to boost visitor attendance. When this hybrid escapes, it is found that these hybrids can attack other dinosaurs as well. She is killing for sport. 20k peoples are trapped. Now, the only hope is to contain the Indominus Rex, before she can cause much damage.